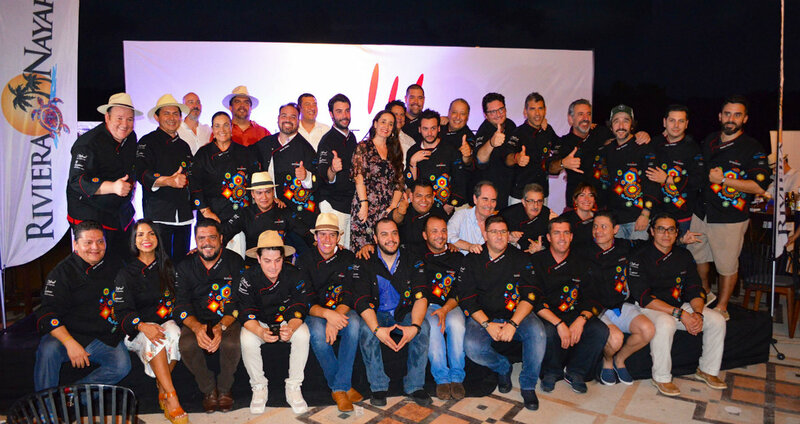 The chefs who will be participating in the VNG 2017 received their chef jackets during the welcoming ceremony. 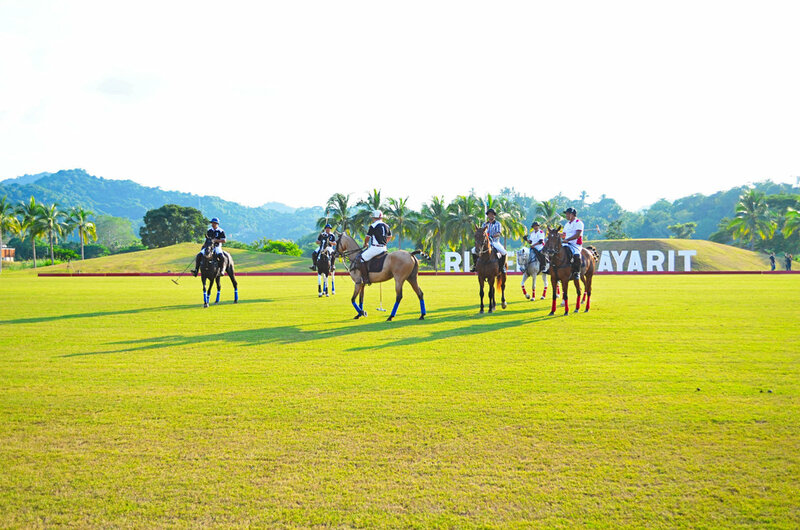 The Riviera Nayarit CVB and the Nayarit State Government welcomed the chefs who will be participating in the 9th Vallarta Nayarit Gastronómica 2017 with a splendid cocktail on Sunday, October 29 at San Pancho’s La Patrona Polo & Equestrian Club. 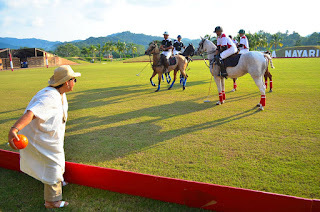 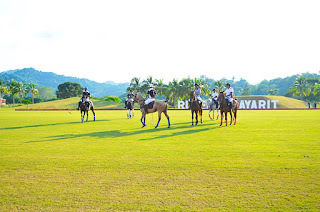 During the event top polo players from the region put on an exhibition game, for which chef Betty Vazquez, Culinary Ambassador for the Riviera Nayarit, was invited to throw out the first ball. 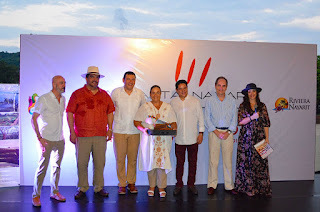 This was followed by the official inauguration ceremony, led by E-Consulting directors Carlos Elizondo and Consuelo Elipe, together with the Secretary of Tourism for Nayarit, Eulalio Coronoado Mendoza; Miguel Benzo Perea, the Spanish consul based in Guadalajara; Alvaro Garciarce Monraz, President of the Puerto Vallarta Hotel and Motel Association; and Marc Murphy, Director of the Bahia de Banderas Hotel and Motel Association and the Riviera Nayarit Convention and Visitors Bureau. As is traditional the chefs who will be participating in the VNG 2017 received their chef jackets during the welcoming ceremony, all of which were beautiful embroidered with Huichol symbols, as well as a special gift representing the State of Nayarit: a professional chef’s knife with the handle decorated with the traditional beadwork handmade by the Wixarika artisans.